Maplin staff are depicted as heroes on hand to help consumers when technology fails them, in a new campaign by the electronics retailer. The campaign was created by Iris, which has taken on the account without a pitch. 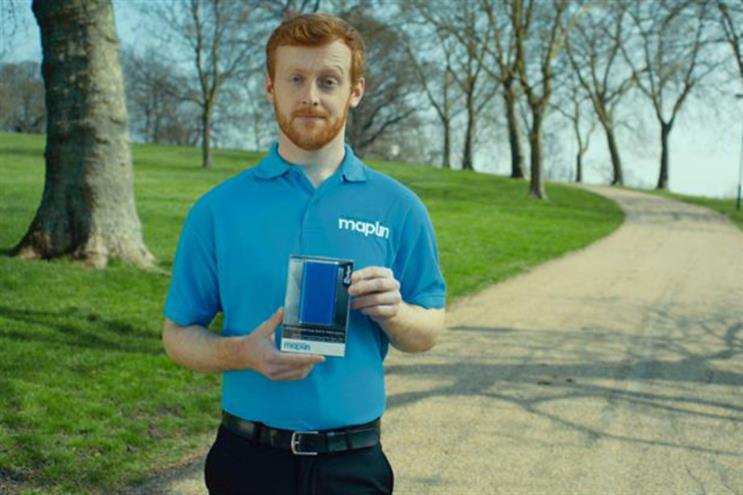 The agency created three 10-second spots showing consumers in different situations when they are in need of a Maplin product. One film shows a man trying to take a picture of his dog balancing on a fence when his phone runs out of battery. A member of Maplin staff appears and presents a product to help him. The voiceover says: "Battery power ruining your chance of internet stardom? Ask Maplin." The ads move away from the "Maplin moments" ads that were created by Krow last year. Henry Swift, the marketing director at Maplin, said: "We are going back to the future with Maplin. People don’t always evolve as quickly as technology does – and whilst you might want the latest connected tech gadgets in your home, you might not necessarily know the best way to go about installing them. We do. "And Iris’ deep understanding of tech coupled with their proven expertise in understanding what makes people tick and participate actively with a brand – makes them the ideal partner for Maplin." Steve Bell, the European chief executive at Iris, said: "One of the greatest assets Maplin has for a shopper is the specialist knowledge that each staff member has about technology, the products available and their appliance in your everyday life. "We wanted to take this and deliver something that’s engaging and fun, but at the same time actively encouraged our audience to Ask Maplin."